I t's Tuesday, so here's your list of the best (vacation) stuff popping up around the web. 1. Budget a little tight this year? No problem, check out these budget-friendly staycation ideas. 2. I never got how larger families fit into hotel rooms on vacation. Then I found these great tips on how to travel with kids when you've outgrown a hotel room. 3. 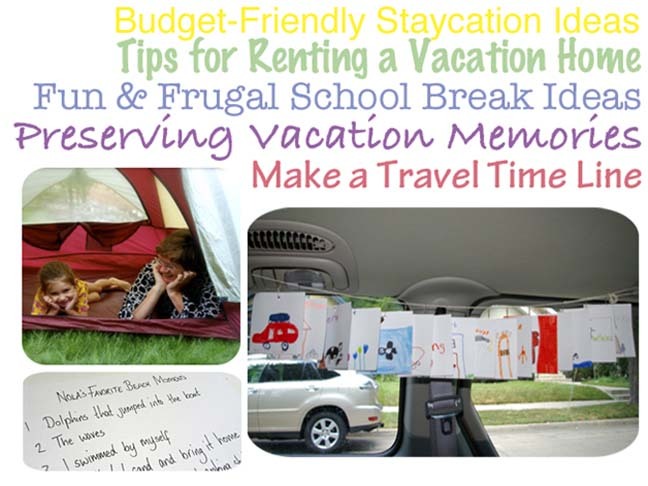 This post on fun & frugal ideas to make the most of school break has activities to make a part of your summer routine. My favorites include reading in the morning and starting a journal. 4. This short tutorial on making a travel timeline is a clever way to fill up lots of car time when traveling. 5. Finally, see this sweet way to preserve childhood vacation memories. Such a great thing to do annually with the kids!